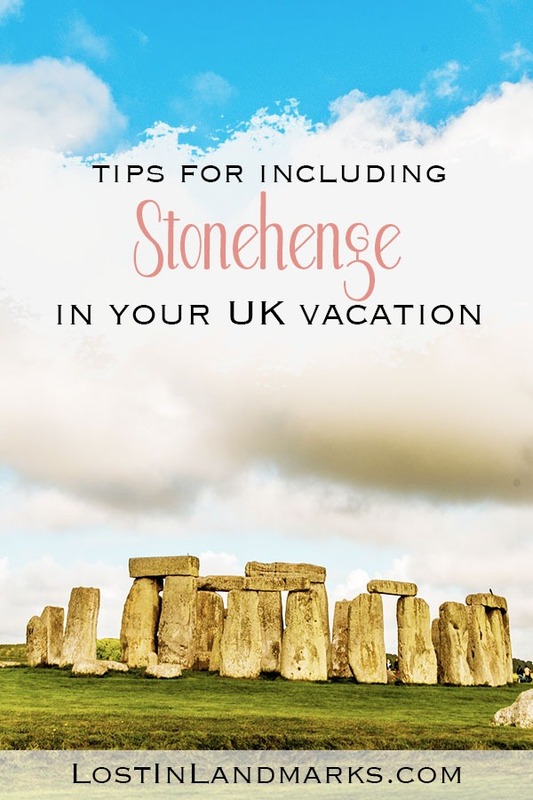 It’s one of the most popular tourist sites in the entire world, let alone just in Great Britain, so I figured a guide to visiting Stonehenge might well be worth creating for a history travel blog! 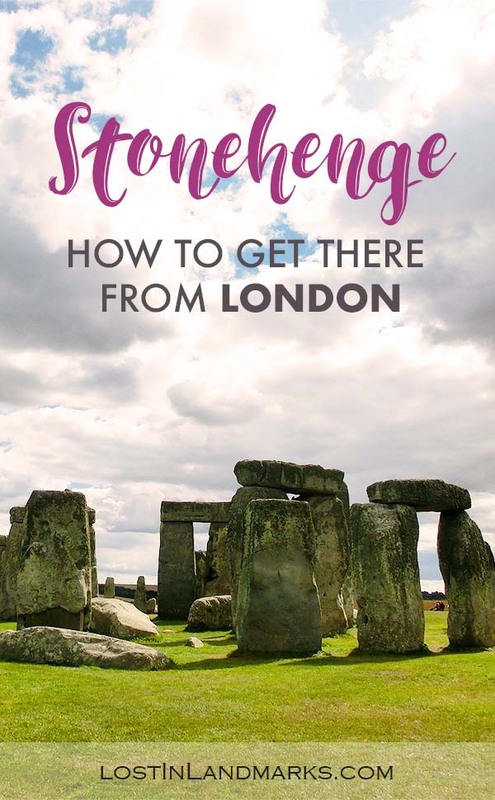 This guide should answer all your questions that you have about it plus if you keep reading you’ll find my tips on how to make Stonehenge worth seeing because it breaks my heart to hear when people feel like it’s a waste of a day trip. It definitely doesn’t have to be! It’s one of my favourite ancient sites I’ve ever visited so I’m excited to share what I know about it with you and I hope it will help if you ever take a day trip to Stonehenge. 2 Is Stonehenge worth seeing? 3 Can you visit Stonehenge for free? 4 How close can you get to Stonehenge? 6 What is there to do at Stonehenge? 6.2 Will kids enjoy visiting Stonehenge? The stone circle at Stonehenge is around 5000 years old and it lies in the heart of the Wlltshire countryside in England. Nope, it’s not in Scotland (when I was searching with a well known search engine one of the questions it tried to prompt was ‘is Stonehenge in Scotland?’ now you have your answer!) but in an area called Salisbury Plain. There are many theories as to the use of the stone circle from legends saying that the devil brought them and placed them on Salisbury plain to theories of ancient astronomers, sacrificial altars and even one saying that Merlin built it. The fact is we’ll never know for sure, but we can have a good, educated guess based on the archaeology found there. Human remains have been found, so possibly it was a burial site at some time. It certainly seems that there has been some astrological significance as the stones line up with the summer and winter solstice but the actual reasons behind it are unknown. The stones are huge and would have required some serious engineering capability to move them. They’re also not local stones either with the large sarsen stones, that make the trilithon (the two uprights and a lintel) coming from around 25 miles away on the Marlborough Downs – doesn’t seem far away for us now, but in days without vehicles to move large objects would have been a feat. They also weigh up to 25 tonnes each! The smaller bluestones in the circle come all the way from Wales which is around 150 miles away. 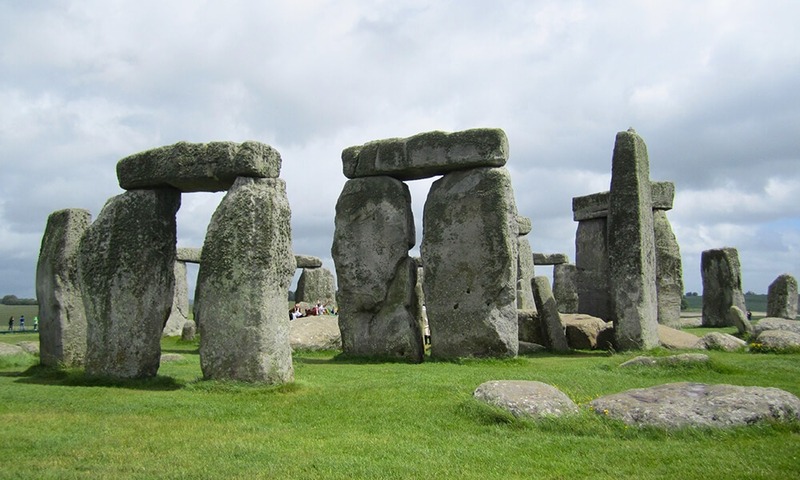 Again, many theories abound as to how the stones got there – one thing is sure, it wouldn’t have been easy and means that whatever Stonehenge was built for, it was something of importance. Despite what you might think – Stonehenge isn’t actually one of the wonders of the world. It’s definitely old enough and mysterious enough but it didn’t make the list although it was made a long time ago, so we’ll forgive them for making the mistake. It is a UNESCO world heritage site nowadays, although that club isn’t as exclusive as the seven wonders! So why is Stonehenge important and why should you visit? Well, it’s so ancient that we don’t have any written records of the people who were around and built the site. So figuring out what the circle was used for and finding out what we can from the archaeology of the area can really help us to learn about our ancestors who live at that time. And, well it’s a huge mystery – we’re never going to know exactly what it’s absolute purpose was so it’s something that will keep experts and history buffs going for a long time! And they love that! The eternal question seems to be whether Stonehenge is worth seeing or whether it can be missed from your travel bucket list. Ask ten people and likely you’ll find 5 saying it was worth it and 5 saying don’t bother. Your mileage may vary depending on a lot of things namely whether you’re actually interested in this kind of thing or whether you’re just looking to tick off something from your ‘seen it’ list. Personally I’m in the ‘YES it’s worth seeing – go now!’ camp. I was really expecting to be completely underwhelmed by it before I saw it for the first time and truthfully we only went as we had English Heritage passes (which made it free) and we were passing by. I was spellbound by it and was truly impressed by the whole place. I do enjoy history though, so that of course helps. The feeling was the same when a few years later we visited again so it wasn’t just because we could get in for free! Can you visit Stonehenge for free? Which of course brings me along to my next question to answer – can you visit for free? I guess that depends on your definition of visiting it. You can see Stonehenge while driving along in the car – the A303, for now, passes right by the site – it’s not the best view though and not the safest if the driver wants to get a glimpse too. You could also go for a walk in the area and get views of the land too – this might be the best option if you have a dog with you as they aren’t allowed in the Stone Circle Monument Field and visitor centre. Here’s a good walk that might suit. Now we have a dog, next time we visit this will be what we’ll do – I’ll report back with how we find it. How close can you get to Stonehenge? If you want to view the stones up a bit closer you’ll need to get a ticket and access to the site that way. If you’re an English Heritage or National Trust member you’ll be able to gain access for free, but be aware you still need to book a timed slot to visit. This is a recent change that wasn’t in place when we visited. You must also be aware that as a regular visitor you won’t be able to get up close to Stonehenge. There’s a pathway that runs around the circle which visitors must keep to. You cannot touch the stones. If you want to get that up close feeling you can request special access tickets from English Heritage which allow a visit outside of normal hours and lets you inside the stone circle – these do come at a cost. We’ve never done it so I can’t comment on how easy or not it is, but there’s the option so give it a shot if you fancy it. There are also some tours that allow you to do it which might be easier and should guarantee you access if your dates are fixed – this one is worth checking out. It gets really busy there so you must be prepared for an onslaught of tourists, groups and all that that entails (we all know those annoying tourist stories – you’ll likely encounter some here). Arriving early in the day or very late on will give you the best chance of seeing it without too many crowds along side you. The last entry to the stones is 2 hours before their closing time so don’t go too late if you are thinking of it. Weekends are also very busy as is any time during the summer months of July and August while the schools are off. If you visit outside these times you might do a little better but I’d still stick to the get there early or late advice. What is there to do at Stonehenge? Once you arrive at the car park you’ll see the new visitors centre – this has all changed since we were there but it definitely looks like it was for the better! You can go straight to the stone circle either by the shuttle they provide or by walking – if it’s a nice day I’d definitely recommend walking if you can. Once at the circle you can obviously walk round it, taking in the views and possibly listening to the audio tour guide as you do. Don’t skip the audio guide, it’s really helpful for knowing what you’re looking at – you could use the visitor guide book that they sell as well, but I personally preferred the audio. 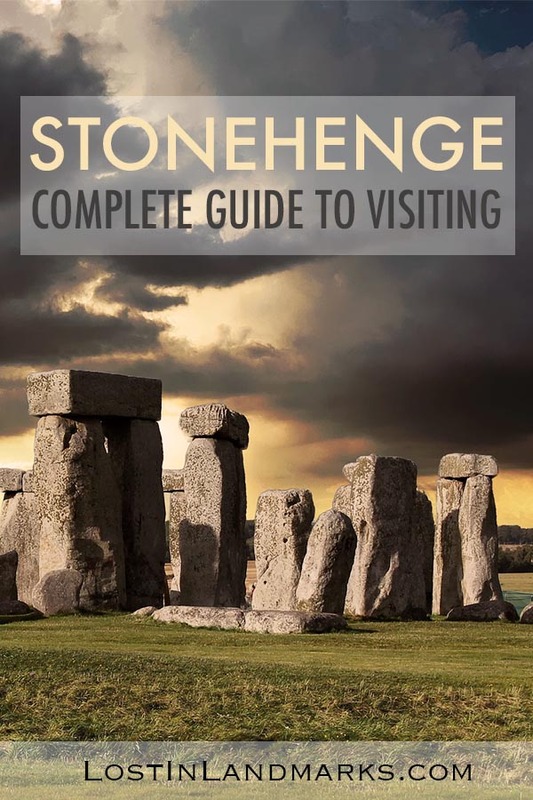 There’s also some interesting things to do at the visitor centre which you can do before or after visiting the stones – there’s an exhibition about Stonehenge and also an 360 degree ‘Standing in the Stones’ experience which helps you see the stones as time passes. Outside are some neolithic houses that were built so you can see exactly how people lived at the time that Stonehenge was built. A shop and a cafe are standard for these kinds of sites of course – they can get busy though! Another good question I get is how long do you need to spend there? I think you can definitely have a good trip and feel you’ve ‘done it’ with just a couple of hours at the site. If you have a bit longer and it’s a good weather day you can definitely expand that by taking in some walks in the area and really taking your time which I definitely recommend. If you want to spend a couple of days in the area there’s lots to do with other historic sites like Avebury nearby and also the city of Salisbury as well that you can explore with its medieval cathedral. 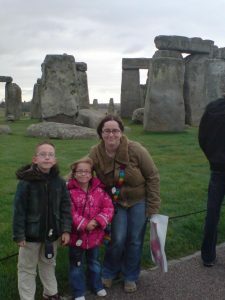 Will kids enjoy visiting Stonehenge? A very old trip! This was the first time we visited and the kids really enjoyed it all. As with all travelling with kids your mileage will definitely vary depending on what your kids are like, whether they enjoy history and what age they are. We have visited twice – once when my kids were around 6 and 7 and again when they were 12 and 13 – and each time they’ve enjoyed it. We normally don’t make a big deal out of making sure they learn things and read everything, but we do make a habit of going to these places and being excited and interested in the history ourselves and I think that helps. Even kids can do the audio tours and mine certainly enjoyed that – it’s a bit different to your parents telling you about it! It’s not a long day out there so if you have kids and you’re worried about them not enjoying it then I’d recommend finding something fun and less historical to do afterwards or at the very least have a nice ice cream at the cafe. So with all this in mind here’s my tips for making Stonehenge worth the visit and cost so you’re not leaving and regretting your visit! Read up on it – which you’re doing because you’re here! Yay! But if you skipped it and haven’t read through this post then now is my friendly reminder to do it once you’ve finished reading these tips. Why? Because knowing a little about the history of the site and the possible uses for it will give you a better understanding once you’re there on the ground and looking at the literal pile of stones on the ground. Check your expectations – know what you can and can’t do at Stonehenge. The amount of times I’ve heard people complain that they couldn’t touch the stones is unreal – please don’t expect that! Yes there are pictures of people who have done it, but either they’re really old pictures before the new rules came in to place or these are people who have paid extra for the special access (see above). If you’re going on an ordinary day you’ll be going round the edge. This is fine though – you still get a great appreciation for the scale of the site and to be honest, you’re still fairly close. Check the weather – obviously Stonehenge is outside so if it’s pouring with rain you might find that your day and enthusiasm is slightly dampened. (sorry – bad pun!) If you can be flexible on your dates it might well be worth keeping an eye on the weather and choosing the best day for it. If you have no choice make sure you have waterproofs, an umbrella and hope for a break in the clouds! There are some inside spots so if the worst happens enjoy those too! Go early or late if you can – another gripe I hear from people is how busy it can be. 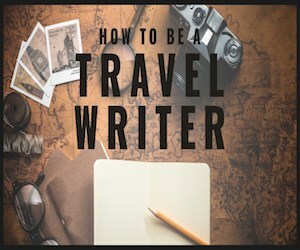 I’m not surprised – it’s almost always on a travel bucket list and it’s touted as a must see from lots of people, including me. It’s a big deal for lots of people so it’s going to be busy – if that’s a problem for you then aim to either arrive early in the day as soon as it opens or late on as it’s getting nearer to closing time and the tour groups have left. If you have no choice just be aware that it will be busy. Last admission time to the stones is 2 hours before their closing time. Check out the visitor centre – don’t bypass the visitor centre and museum as it can help you get your head round what you’re looking at and make your visit much better. As I said before – get yourself armed with the facts and seeing the stones becomes part of a big story that you’re learning about. The site is a lot different to when we last went in 2014 and there’s been lots of changes that I haven’t personally seen – interactive exhibits, prehistoric houses that would have been contemporary with the stones and artefacts found at the site. Definitely plenty to enrich your visit. Listen to the audio guide – again this is about making the day more than just looking at the stones. By listening to the audio guide you can understand what the archaeologists and historians have learned about each stone as you get to it. Kids also enjoy the guides too so include them in it. They have downloads for your phone too now. 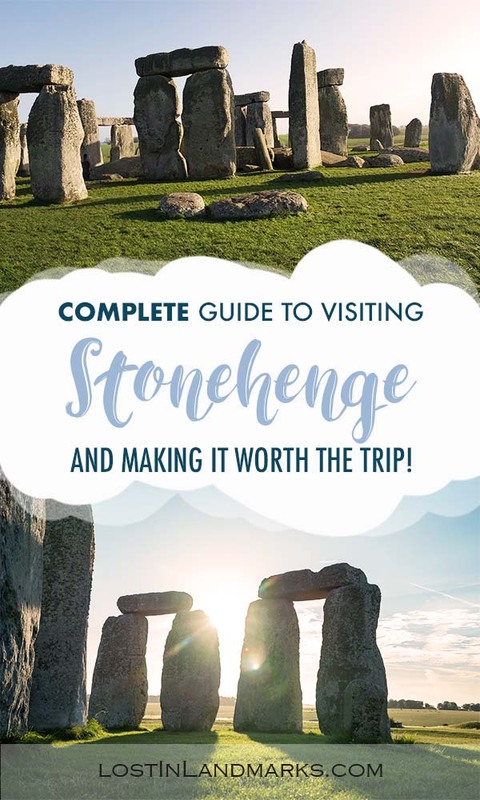 Get some added value – add in some more of the nearby ancient England sites like Avebury or perhaps even a trip to Salisbury or Bath to your day. Stonehenge really won’t take up too long, a couple of hours probably, so you’ve plenty of time. If you do a tour then often it will include some other place to see as well but also if you’re organising your visit yourself it’s wise to have something else planned for your day so you’re not left thinking – is that it? Go with an open mind – finally just keep your mind open about your day at Stonehenge. Don’t build it up to be this amazing and wonderful spectacle but also don’t go in thinking it will be a pile of old stones and as boring as a pile of stones could be. Try and be pleasantly surprised by it. Want to visit Avebury too? Here’s our in depth guide to this other part of the World Heritage Site. Unless you just want to explore the countryside around the stones, you’ll need to get a ticket to visit. If you go on an organised tour like this one then these will be included in the price. If you’re visiting independently you’ll need to get tickets and they’ve changed how they do it recently which is that you should buy tickets in advance where you’ll get a timed slot. 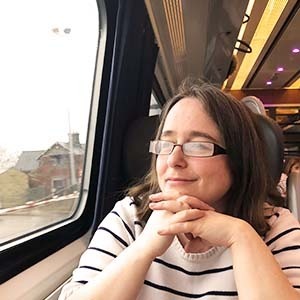 You only get a 30 minute window to arrive for your slot so it’s important that you give yourself ample time to get to the site – once you’re there you can take as long as you want to explore so no worries on that score. You can turn up and hope to get tickets but it’s not guaranteed and it is slightly more expensive than booking in advance. Online tickets are currently priced (late 2018) at £17.50 for adults, £10.50 for a child or £15.80 for concessions (over 65s and students with valid ID). A family ticket can be bought for £45.50 and covers 2 adults and up to 3 children. You can purchase tickets in advance here. Prices for buying walk up tickets on the day are a little more expensive than booking in advance (correct as at 2018) – £19.50 for adults, £11.70 for children, £17.60 for concessions and £50.70 for a family. It’s worth considering getting either English Heritage membership or National Trust membership as they both allow free admission to the site – I’ve had both over the years and we’ve made lots of use out of it and highly recommend it. Overseas visitors might find the Overseas Pass from English Heritage useful – it’s valid for either 9 or 16 consecutive days and would provide some serious savings if you were exploring more than one site in England (and there’s so much to see!). Stonehenge is in the county of Wiltshire in Southern England – the nearest town in called Amesbury and the largest city nearby is Salisbury. It’s easy to reach by car and there’s a good car park at the site so no worries once you get there. It’s around 2 hours from London and of course you have the whole countryside to explore if you come by car! The car park is free to those with tickets to visit Stonehenge and English Heritage members (£5 may be payable but is refunded when you get tickets) – if you’re not actually wanting to visit the monument you can still park there but it will cost you £5. The nearest train to Stonehenge is Salisbury which is around 12 miles away. Trainline is your best bet to find trains from all over the UK. You can get the public Stonehenge Tour bus from there which takes you direct to the visitors centre. If you’re coming from Swindon, Devizes, Marlborough or Salisbury or areas near there, there are local buses that can take you to Amesbury. From there it’s a 2 mile walk to the stones. Many people are based in London and want to visit the stones so if that’s you this is your section. In my opinion, the best way to visit is by going on one of the many Stonehenge tours from London as it eliminates the need for hiring a car and navigating around London. It’s all done for you, you can relax and enjoy the day and you can choose between a direct there and back trip or even go on tours that go other places too like perhaps Bath or Windsor Castle and so maximises your time. They also are quite good value as well. There are a lot to choose from so definitely look at the ratings, the time spent at the stones and what other people thought of them if you go this way. I like Get Your Guide for choosing these tours as there a rating system there and you can see what other people thought of them before booking. You can see the tours below. If you want to go by public transport then your best bet is to get a train to Salisbury – check out Trainline which is the best resource I’ve found for getting train times for all the networks. The train takes around an hour and a half if there’s no changes. From Salisbury you’d get the Stonehenge Tour Bus which will take you to the visitor centre or there are local buses too. Visiting Stonehenge from London by car is also a possibility. Living in the UK I’ve never had to rent a car here, but many people do it with ease so I imagine it’s pretty straight forward. Here’s a good place to check out different prices. It’s around 90 miles away from the very centre of London and once you get out the city the driving should be fairly straight forward with plenty of motorway and A roads leading your straight there. One advantage of having your own transport is obviously being able to pick and choose your time to get there and also how long you’re there too. You can also explore the rest of the ancient areas that are nearby like Avebury and it gives you much more options when choosing accommodation. There are a number of options in the surrounding area with many luxury hotels near Stonehenge and also plenty of budget options too. We’ve obviously not tried all of these (and one year we stayed in our camper van so needed no option!) but these come highly recommended. Some of these options are better if you have your own transport to the stones so do bear in mind how you’re planning to actually get there. If you don’t have your own transport then it’s probably best to base yourself in the city of Salisbury which is well connected to London and to the rest of the UK and where there’s plenty of bus options to the stones. If you’re looking for top end hotels then I also recommend looking in to Salisbury. It’s about a 20 minute drive away or easily accessibly by the tour bus (see how to get there section for details) or local buses to Amesbury. There are a number of options in all price ranges in Salisbury and I recommend looking on HotelsCombined (my fave – I use them all the time!) as they can get you the best deal by comparing all the booking sites – you can see them here. If you want to stay very close to Stonehenge then the very local hotel called Rollestone Manor is only around 3 miles away and would be a great base to visit there and other areas. If you’re looking for cheap hotels and you have a car then I can recommend this Travelodge which is quite near Stonehenge – only around 5 miles away on the Amesbury bypass. We stayed there the first time we visited as we were on a budget and it’s a great no frills option. They have improved a lot over the years too with most of their rooms being updated and really quite awesome for the price point. You can get family rooms too at a good price so I always recommend them as a brand for families looking for a budget hotel. If Travelodge is full or you want a different option then another good budget brand is Premier Inn and there’s one about 10 miles away from Stonehenge near to Salisbury. Premier Inn do good breakfasts! Unfortunately if you’re looking to wild camp in your campervan like we did one year on the byroad that is just by the stones, that option is no longer viable and the road has been shut. Many people are petitioning for it to re-open so perhaps this will change in the future. 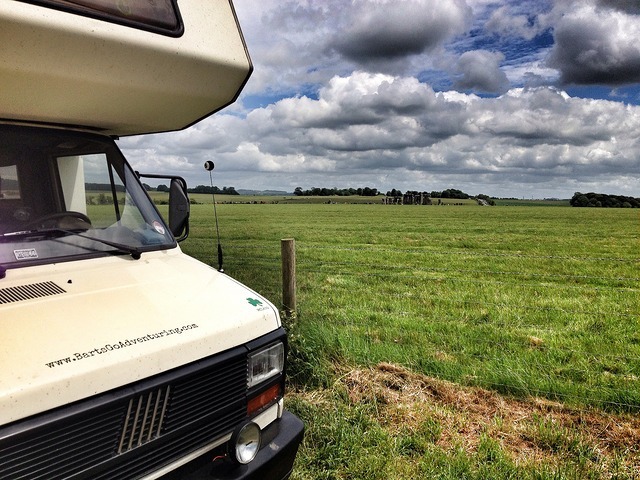 If you do want to camp near Stonehenge then I’d look at the Stonehenge Campsite which is about 5 and a half miles away. They accept tents, caravans and motorhomes and they also allow campfires as well so the kid and they would be worth checking out if you want to go at summer solstice as they have an event on there. If you want a bit more luxury, or if you simply don’t have a tent, they also have some glamping pods as well which look really nice and would be a great alternative to the regular hotel option.